The location is good if you want to spend a night near Valencia. We only stayed 2 nights,, very quiet, clean people very friendly..
Staff very helpful and friendly. Food good but be aware this is real Spain so food is Spanish and English not generally spoken........if you accept this and give it a bash you will be pleasantly surprised. Room was big, comfortable and clean although could do with a few running repairs. Very nice and comfortable hotel. Nice staff, Bruna is a very welcoming, helpful and attentive staff. 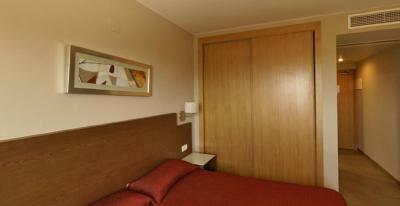 Comfortable beds, nice bathroom and quiet place. There's a free parking in the back but you can close your car down on the hotel's garage for a good price per night if you prefer. Ubicación y comodidad de tener restaurante & cafetería. Calidad precio- correcto. Instalaciones muy limpias. Relación calidad/precio muy buena. La atención fué impecable en todo momento. Hotel perfecto para estancias de paso. 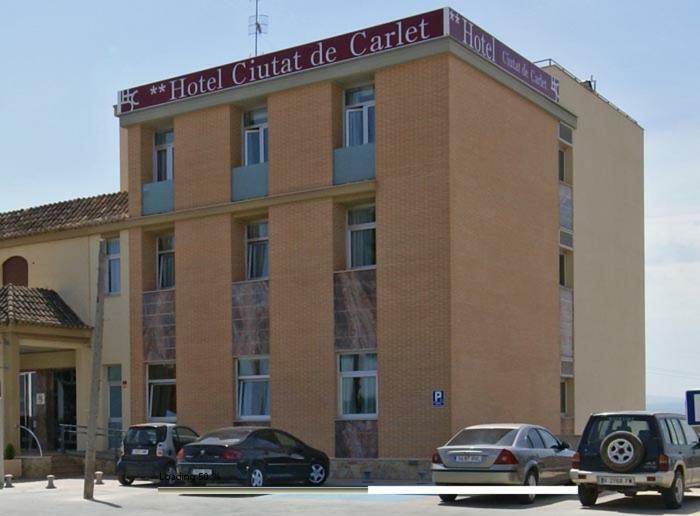 Hotel Ciutat de Carlet This rating is a reflection of how the property compares to the industry standard when it comes to price, facilities and services available. It's based on a self-evaluation by the property. Use this rating to help choose your stay! 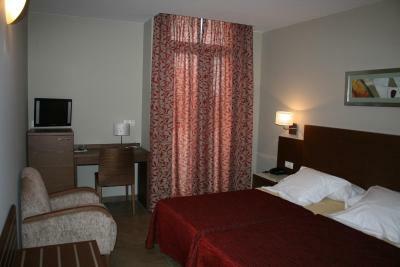 Set just outside the center of Carlet, Hotel Ciutat de Carlet offers simple rooms with free Wi-Fi. Valencia can be reached in 50 minutes by Metro from Carlet Station. 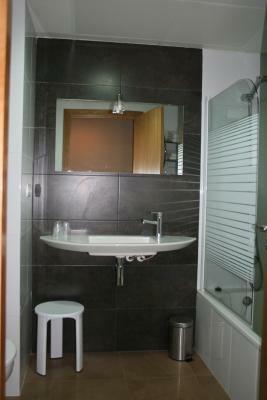 Each air-conditioned room at the Ciutat de Carlet has a TV and a private bathroom. The Ciutat de Carlet features a restaurant and a café. There is a 24-hour reception. 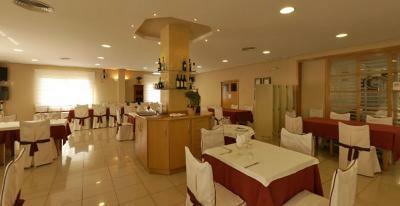 The hotel offers easy access to the A7 Motorway and Valencia is a 25-minute drive away. L’Albufera Nature Reserve and the nearest beaches are approximately 25 mi from the hotel. This property also has one of the top-rated locations in Carlet! Guests are happier about it compared to other properties in the area. This property is also rated for the best value in Carlet! Guests are getting more for their money when compared to other properties in this city. When would you like to stay at Hotel Ciutat de Carlet? House Rules Hotel Ciutat de Carlet takes special requests – add in the next step! 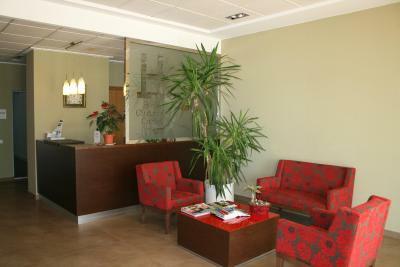 Hotel Ciutat de Carlet accepts these cards and reserves the right to temporarily hold an amount prior to arrival. This is a local, small hotel. Don't expect the Ritz . That said a few simple signs in English would help perhaps with a translation on the menu. No restaurant open No wifi Location with the google map was wrong we had to call the hotel and ask directions. ( they do not speak English). No problems with the hotel whatsoever. It was a nice stay, very pleasant.